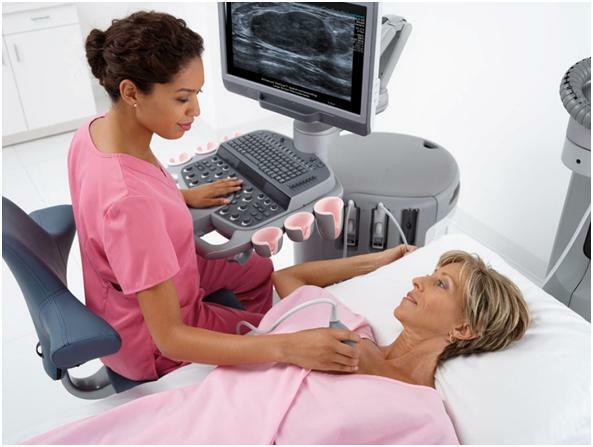 Ultrasound is a simple, safe and non-invasive method of evaluating the breast tissue. In patients younger than 40 years of age an ultrasound of the breast may be requested as a primary imaging tool . Depending on the patient’s clinical symptoms and findings on the ultrasound further mammography imaging may be needed . There is no specific preparation required for this examination.